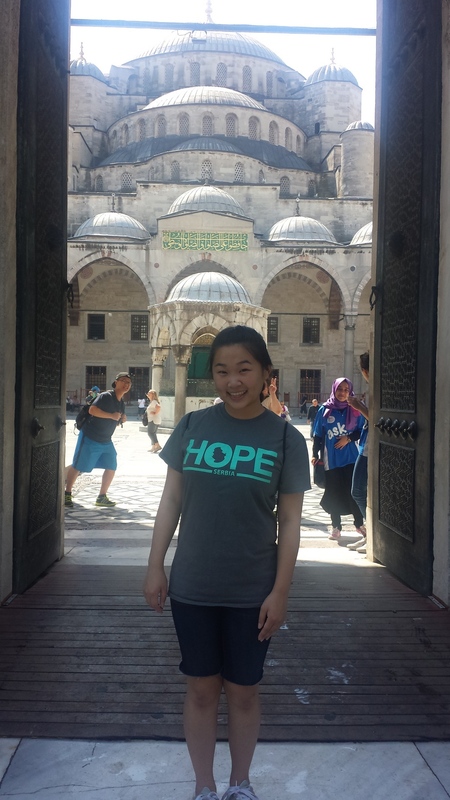 Logging in for HOPE Serbia Mission IT (Istanbul Turkey) Team. 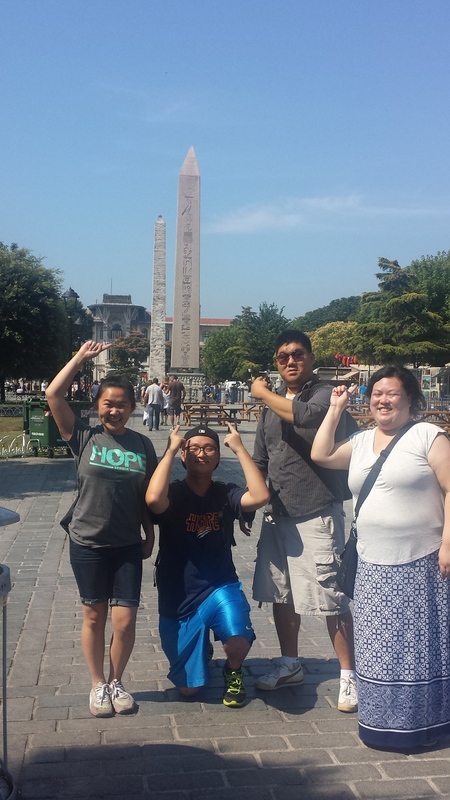 A beautiful day in Istanbul and we have decided to head out to the Old Town Istanbul. 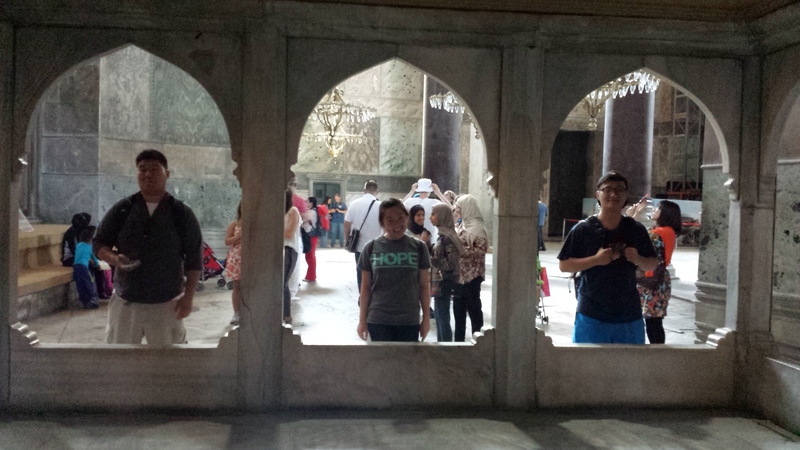 We took the Metro to Sultan Ahmed Mosque which is called Blue Mosque. 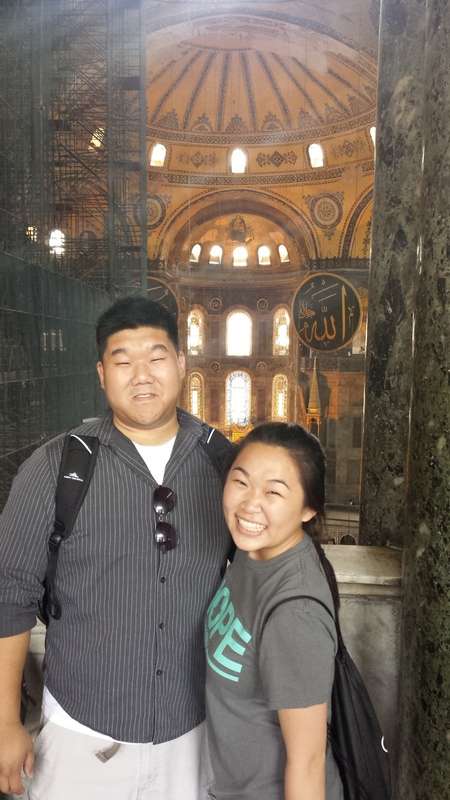 What we wanted to go and see was Hagia Sophia. It is a former Christian patriarchal basilica, later an imperial mosque, and now a museum (Ayasofya Müzesi). 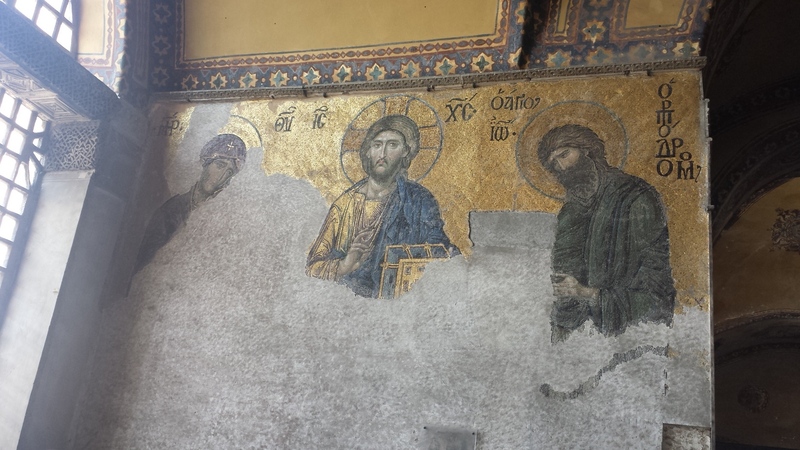 When Ottoman Empire took over the Constantinople and when they made it into a mosque, they tried to cover up much of Christian heritage. Yet, much of ancient arts are still visible in some ways. 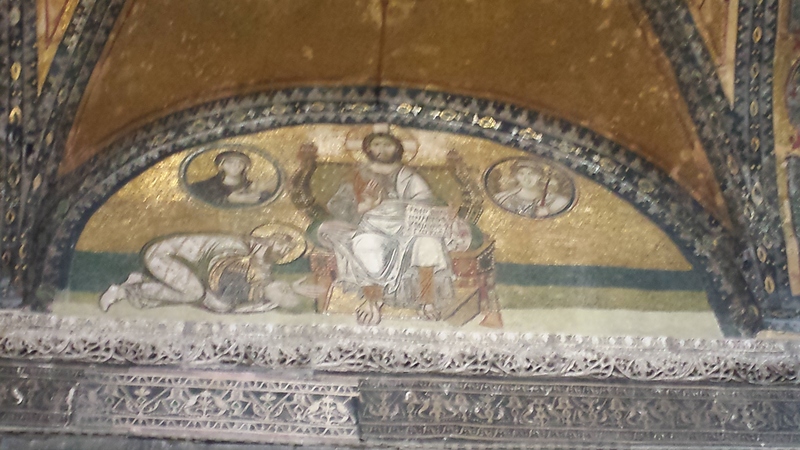 And guess who I met at the Hagia Sophia. 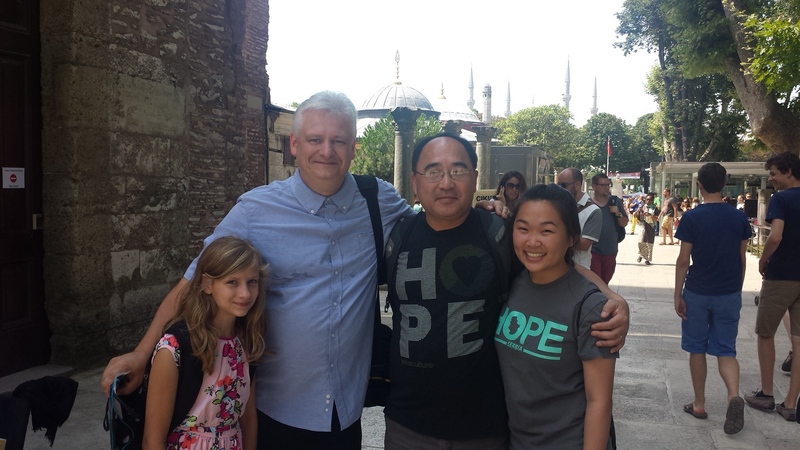 The Lutheran pastor whom I met at the Passport Control at the Ataturk Airport was there with his daughter. Rev. Rob Johnson from Toledo Ohio. I think we will meet again in Serbia. How cool would that be? 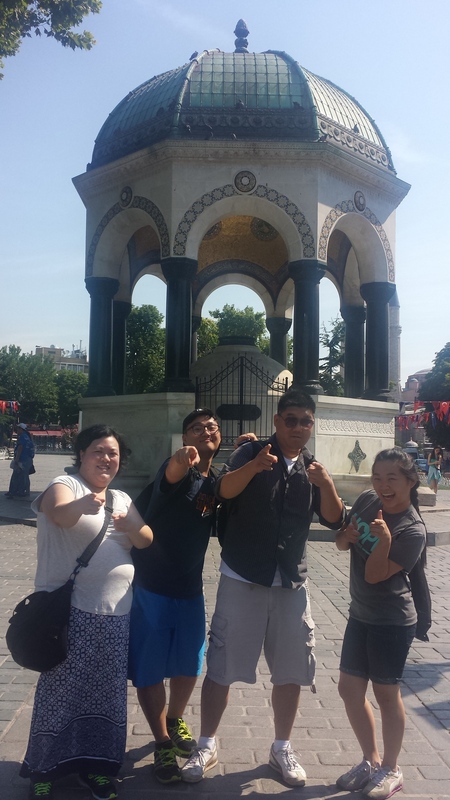 We walked to the famous Grand Bazaar. 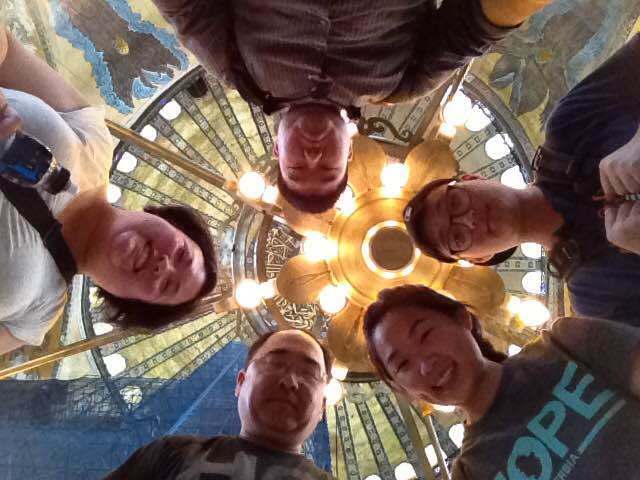 While walking around, we got hungry looked for a good place to ea. We found this restaurant through Trip Advisor, Donerci Sahin Usta, which had a very good rating. When we got there, it was literally a hole in a wall but there was a line of people waiting for their beef doner wrapped with yummy wrap. It was a great find. We were tried and decided to take a nap and come out in the evening…. 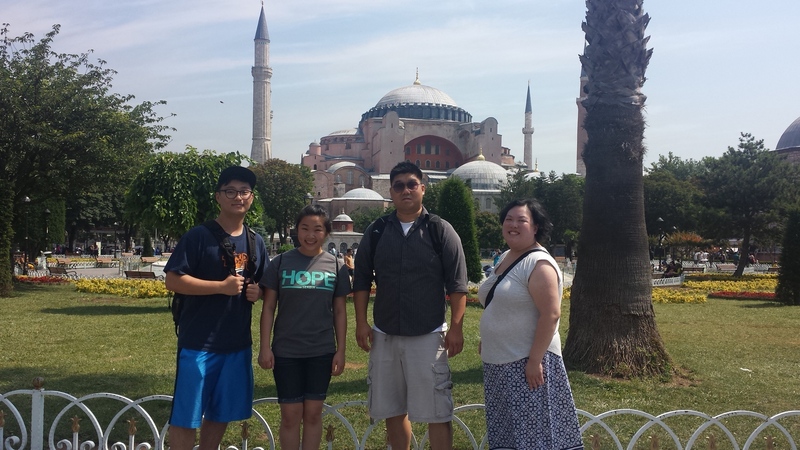 This entry was posted in PQ's Food finder, Serbia Mission 2.0 and tagged Abby Kim, Blue Mosque, Brian Brock Lin, Donerci Sahin Usta, Grand Bazaar, Hagia Sophia, Istanbul, Metro, Serbia Mission 2.0, Taekyung. Bookmark the permalink.